Christenings, Baptisms, and Baby Dedications are all special times shared by families. 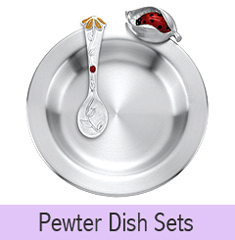 Choose a special keepsake that can be worn and passed on to future generations. 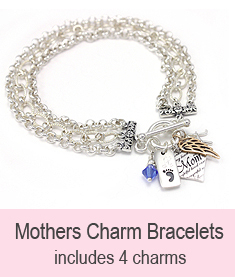 Sweet little Christening bracelets are a favorite with mothers and Godparents alike. Our most popular sellers for August have been"Little Blessing" and "My Hope". 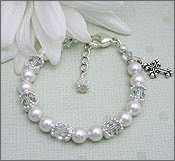 The "Little Blessing" bracelet is made with pearls and clear crystals and comes with a delicate cross charm. It is available with or without a name. "My Hope" has been another favorite. This sweet little Christening or Baptism bracelet is made with white freshwater pearls and has a beautiful rounded cross bead in the center. This style is especially good for infants because there is no attached charm. These precious little bracelets are perfect for passing on to future generations of little ones. 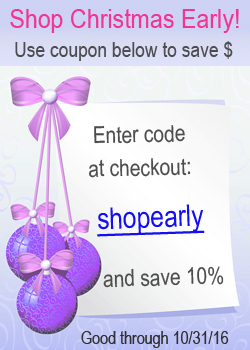 At The Gingham Grasshopper, all of our jewelry comes with free gift packaging and free gift cards; we even offer free shipping! 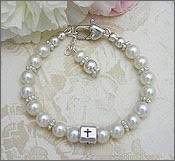 We have a large selection of Christening and Baptism bracelets for you to choose from. **Send us your photos of your little ones wearing their bracelets so we can display them here! We would love to see them.